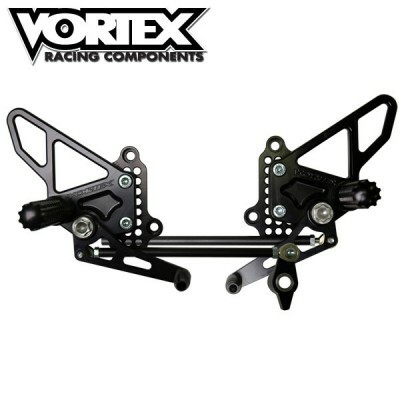 Sato Racing RearSets are made from high grade billet aluminum anodized in a stunning Black, Silver, or Gold finish. 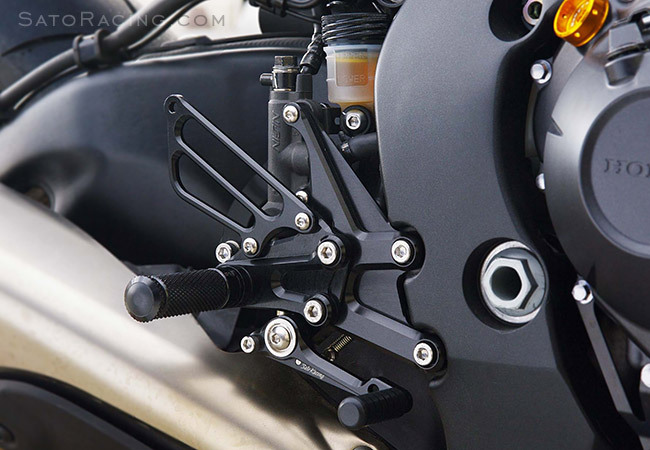 The shift and brake pedals feature double stainless bearings for smooth movement without any wobbling. 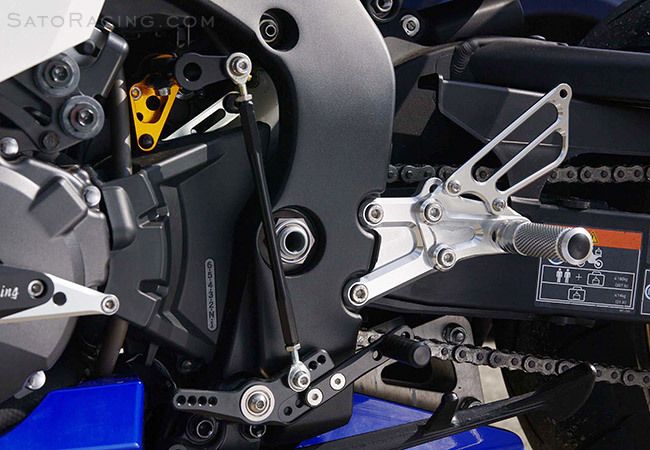 Deeply knurled footpegs provide optimal grip even in wet conditions. Adjustable to 6 positions, all higher than stock. 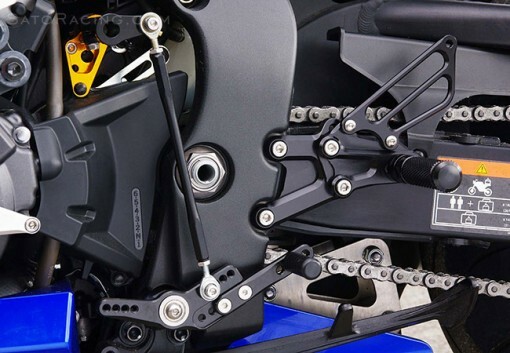 You can also give these RearSets a reverse shifting pattern by relocating a connector rod.